Louise’s yoga journey began in England in 1999 when she first attended Ashtanga Yoga classes to supplement a general fitness regime. Having worked for many years as a Counsellor in an Eating Disorders Service she had a keen interest in holistic approaches to enhancing mental and emotional wellbeing but it was only after she moved to Ireland with her family in 2007 that Louise brought these two interests together and began to explore the immense healing benefits that yoga has on the mind, body, and soul. She was soon hooked, and went on to complete a Yoga Teaching Diploma with the YTTC in Cork in 2010. Louise has since attended trainings with several world renowned teachers such as Donna Farhi, Bo Forbes, and Judith Hanson Lasater. She qualified as a Kids Yoga Teacher in 2011, completed a Restorative yoga training in London in 2017, and became a Functional Range Conditioning Mobility Specialist (FRCMs) in 2018. Louise believes that everyone can benefit from yoga whatever their age or ability. 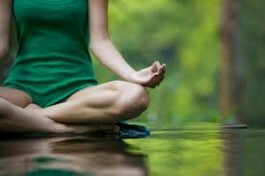 “Yoga helps us to cope with daily emotional and physical challenges. It releases tension from the body and mind and in doing so promotes deep states of relaxation and increased wellbeing”. As a teenager and in her twenties Louise suffered from eating disorders and anxiety herself. She believes that yoga is a great way to help to increase the connection between the mind and the body and to feel calmer and more centred. For those suffering from any type of anxiety this can bring much needed relief. Louise’s classes are suitable for all and her style is a combination of traditional Hatha yoga blended with scientifically researched mobility training exercises which serve to improve the function and health of our joints. Each class incorporates breath work and relaxation which Louise believes truly maximises the holistic healing that a yoga class can bring.